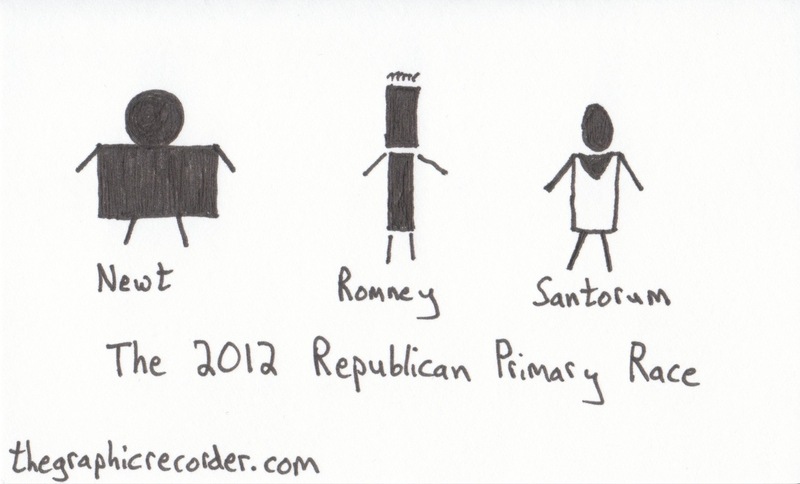 This stick figure sketch of the 2012 Republican primary race is one of a series of sketches that I am using to build my visual vocabulary. To see others, check out an up-to-date list of all of my stick figure sketches. If you are looking to build your own sketching and visual note-taking skills, check out the resources page.